Ramatuelle Swim shorts "Palm Beach": a trendy swim shorts in a palm- printed twill fabric . 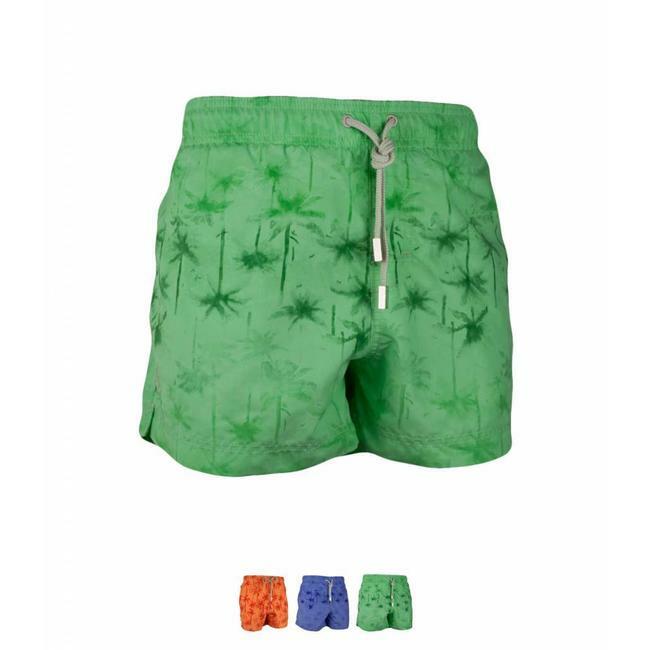 Read more..
Ramatuelle Swimshorts "Palm Beach" : a trendy swim shorts in a palm- printed twill fabric . Thanks to a special washing this shorts has a " used look ". It has a somewhat lower falling waist with elastic and a drawstring with branded cord ends. The in-leg is shortser than the basic boxer: 9 instead of 11.5 cm , providing him with a younger and sportier appearance . This swimsuit has an inner mesh lining with soft elastic at the leg opening. Both logo embroidery and stitching in linen color. Swim shorts "Palm Beach " is available in a green and a blue version. The sizes run from S to 4XL, look for the corresponding men's jeans and sizes in our size chart. Bañador Palm Beach de Ramatuelle. 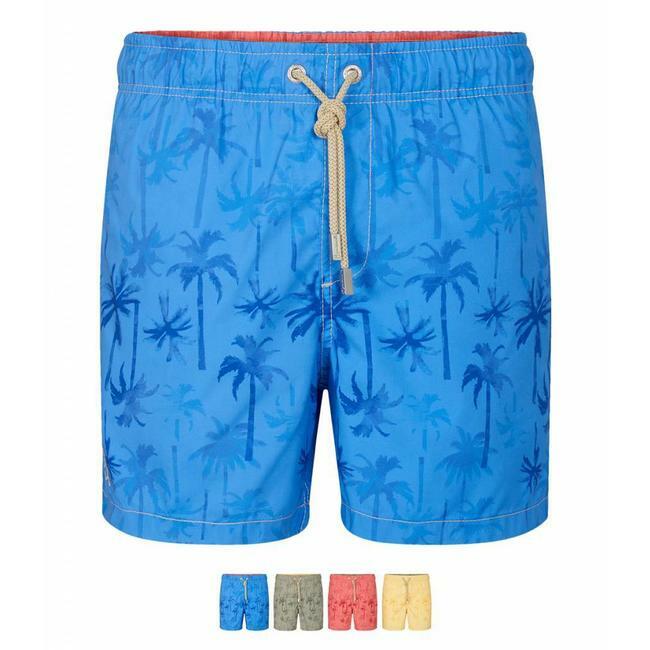 Un bañador a la moda con..
Ramatuelle Swim shorts "Palm Beach": a trendy swim shorts i..
Ramatuelle Polo's South Beach are made of 95% cotton and 5% ..